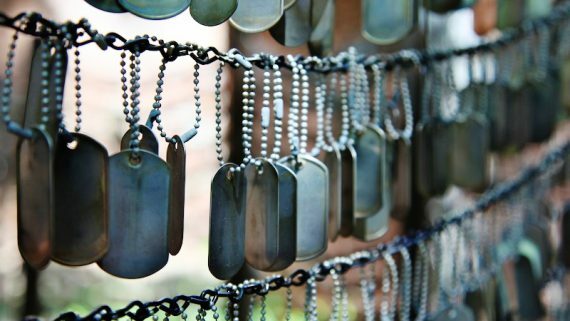 Living, working and playing among the Service Members they minister to, chaplains usually have insight into the struggles and feelings of those Service Members. They help them try to navigate their troubles successfully through many means, based on their strengths and talents. 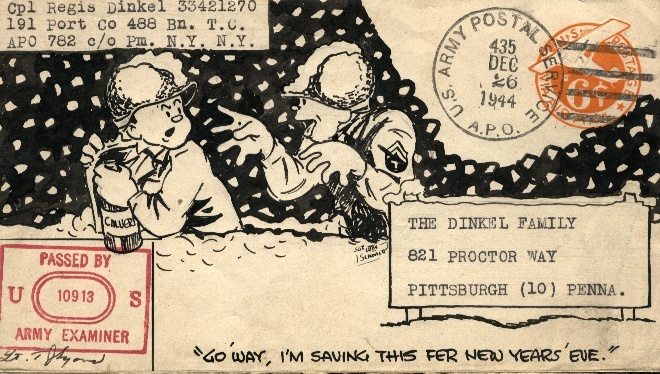 Some use poetry, as did Chaplain Henry W. Habel, who by March 1945, had been an Army Chaplain for three years. Chaplain Habel was from Buffalo, New York and graduated from Acadia University in Nova Scotia before pastoring churches in Kentucky, Pennsylvania, New York and Canada through the Baptist Church of the Northern Convention. The following poem, written by Chaplain Habel, was found in a worship bulletin from 6 May 1945, from the 13th General Hospital Chapel in New Guinea where Chaplain (Major) D.O. Luginbill and Chaplain (Captain) L.V. Walters were the chaplains. I hope many of you remember the battles that were started for liberating New Guinea back at the original stage of the Pacific War – at this point – they were still going on. The operations were characterized by prolonged small-scale patrolling with small-scale company attacks. 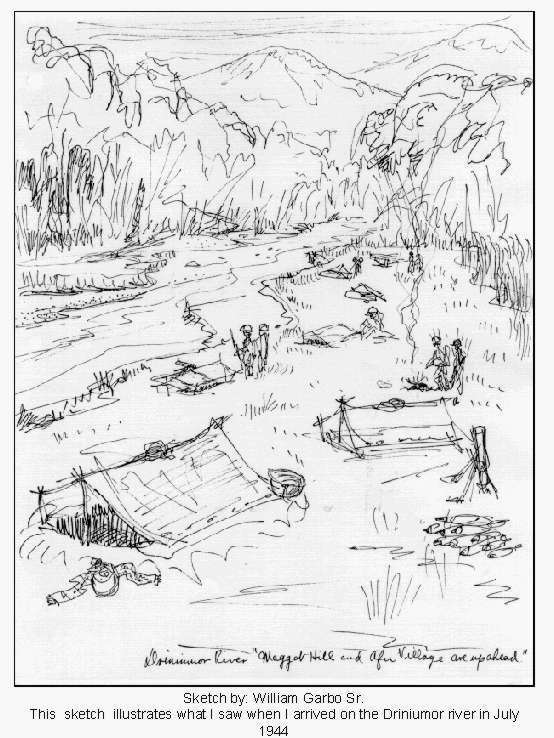 Progress was slowed by the difficulties of transporting supplies overland or by barge and the flash flooding of a number of the rivers the Australians had to cross. In one incident, seven men from the 2/3rd Battalion drowned in the swollen waters of the Danmap River which had risen suddenly after a torrential downpour. 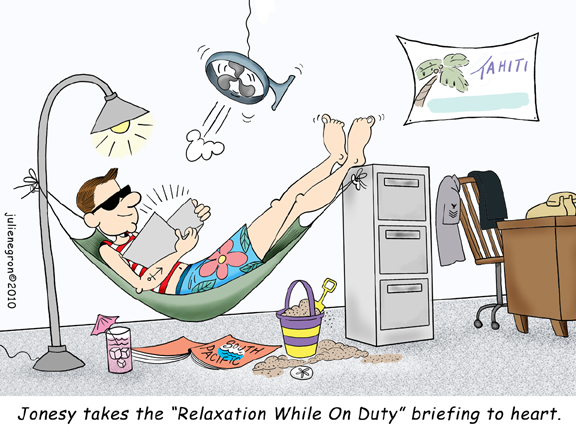 After Dogreto Bay was occupied, the supply problems eased somewhat. 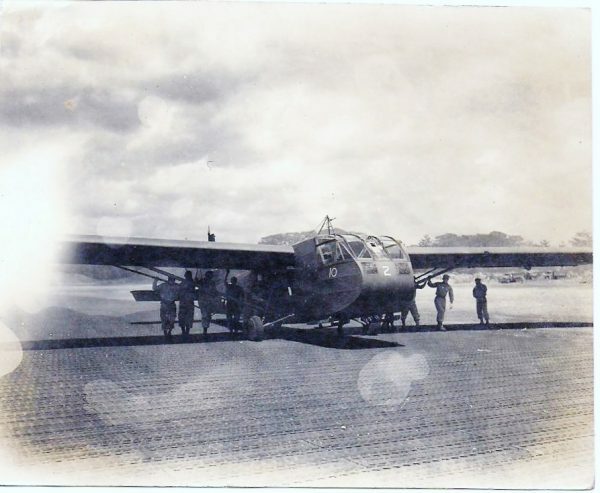 On 16 March 1945, the airfields at But and Dagua on the coast were occupied, although fighting continued further inland from there over the course of the following fortnight. 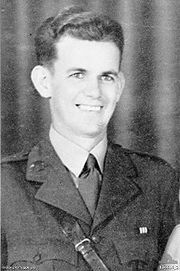 On 25 March, Lieutenant Albert Chowne, a platoon commander from the Australian 2/2nd Battalion led an attack on a Japanese position that was holding up the advance on Wewak. 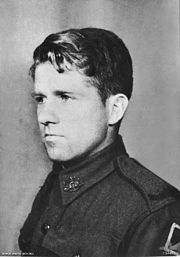 For his actions he was posthumously awarded the Victoria Cross. In the Torricelli Mountains the 17th Brigade continued its advance against stubborn Japanese defense. Nevertheless, by 23 April 1945 they had secured Maprik. The fall of Maprik allowed the Australians to begin constructing an airfield 8 miles (13 km) away at Hayfield, and this was completed on 14 May allowing reinforcements and supplies to be flown in. 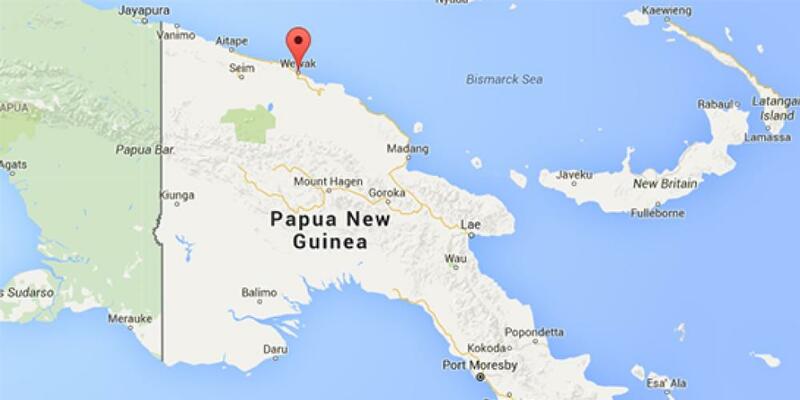 Elsewhere the 19th Brigade had begun its assault on Wewak in early May. 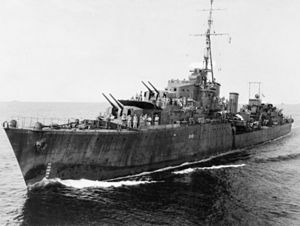 HMAS Hobart, Arunta, Warramunga, Swan and HMS Newfoundland (of the British Pacific Fleet) as well as the RAAF bombarded the Wewak defenses. On 11 May, a landing at Dove Bay by Farida Force was undertaken to encircle Wewak and prevent the escape of its garrison. Wewak fell on the same day, as the 19th Brigade occupied its airfield. 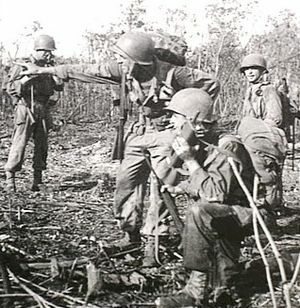 The fighting around Wewak airfield continued until 15 May, however, when men from the 2/4th Battalion, with armoured support, attacked Japanese positions overlooking the airstrip. It was during this attack that Private Edward Kenna carried out the deeds that led to him being awarded the Victoria Cross. 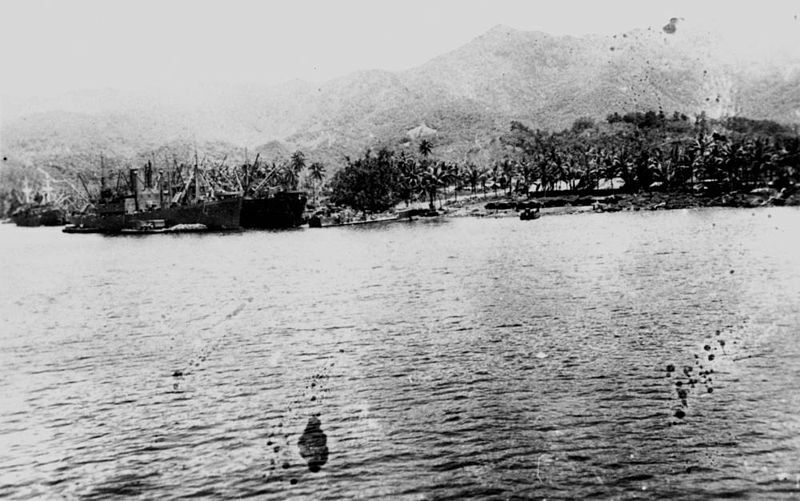 Following this, the remaining Japanese in the area withdrew into the Prince Alexander Mountains to the south of Wewak. To counter this, the 16th Brigade was dispatched to follow them up, and push them towards the 17th Brigade which advanced towards the east towards Maprik. These operations continued until 11 August, by which time the 16th Brigade had reached Numoikum, about 23 kilometres (14 mi) from Wewak, while the 17th Brigade had captured Kairivu, 24 kilometres (15 mi) from Wewak. At this stage, word was received that the Japanese government had begun discussing terms for a possible surrender and so offensive operations were brought to a halt. 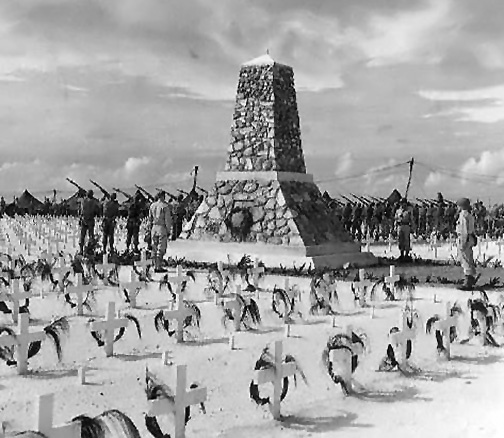 10 → 16 August – on Guam, when the resistance finally collapsed, only isolated pockets of Japanese soldiers would remain. It was estimated that approximately 7,500 were at large. Mopping up would go into 1945 to flush the enemy out. The last enemy soldier finally surrendered 24 January 1972, Sgt. Soichi Yokoi. On Noemfoor Island, pointing to the enemy withdrawal. 17-20 August – off New Guinea, the resistance on Biak and Noemfoor Islands was crushed as 2,000 paratroopers of the 503rd jumped and the land forces of the 158th RCT overtook the airfields. Operation Cyclone was a success. 22-24 August – activity around the Philippines picked up with US torpedoes taking 3 Japanese frigates. The USS Haddo was busy and even was able to claim the sinking of the IJN destroyer Asakaze. On the 24th, the enemy retaliated by sinking the USS Harder off the Luzon coast with depth charges. 27 August – In northern Burma, the Chindits were evacuated after months of exhausting operations. 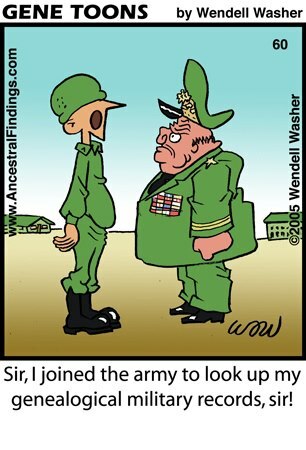 The last Chindit to leave was on this date. The 10th and 14th air forces in the CBI continued bombing all points of opportunity in Burma and China, while the 7th Air Force off of Saipan continued to hit Iwo Jima. In a radio broadcast by Pres. Roosevelt, he made clear the final decision that troops would be attacking the Philippine Islands and not Formosa. Now the Japanese were also aware. It was seen by White House observers that FDR had timed the invasion to make headlines for the end of his re-election campaign. The 6th Infantry Division was slated to spearhead the operation in the Sansapor, W. Papua landing. The 31st Infantry Div. was sent to Maffin Bay. From mid-July till the end of August, the area was aggressively patrolled. The landing used information from the 5th Air Force terrain experts and hydrographic equipment. With the capture of the Marianas, Nimitz’s forces would head to the West Caroline Islands. This operation encompassed nearly 800 vessels. We must also give note of the PT boat service given on the coasts of New Guinea, harassing enemy barge traffic and preventing the enemy from putting reinforcements ashore. Bernard Ginn Que Jee – New Orleans, LA; US Army, Korea, Cpl. 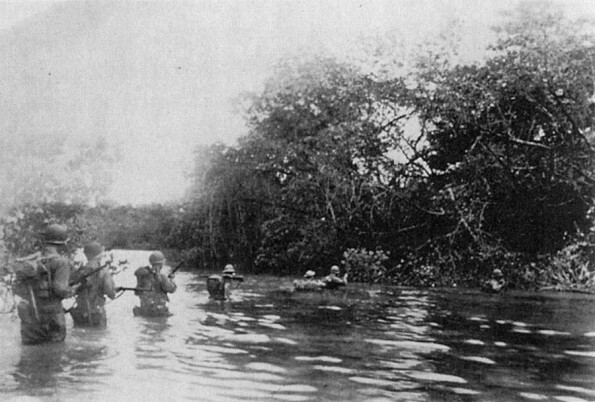 New Guinea natives evacuate wounded Allies across the Driniumor River near Afua. After about three weeks of nightly Jap attacks along the Driniumor the situation eased somewhat. The 124th plus one battalion from the 169th was ordered to cross the River and go after the Japs that remained in the area. This group had the code name “Ted Force” after Col. Edward Starr, Commanding Officer of the 124th as well as C.O. of this endeavor. Much has been written about this “Ted Force” but I’ll just touch on it briefly. These four battalions moved in different directions while eventually meeting at a given point. They had to move by use of a compass as maps were not of much use in the jungle. About all you could recognize was the ocean, the river, the mountains and perhaps a stream. It was very slow going, as they had to hack their way through the dense jungle growth with machetes. 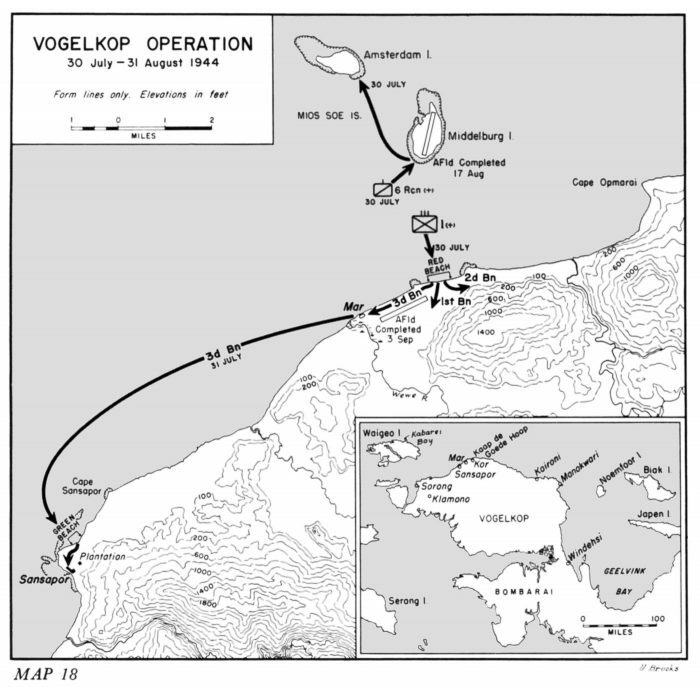 This was an extremely difficult endeavor in enemy held territory which lasted from 31 July 1944 to 10 August 1944. It was difficult not only because of enemy soldiers but also from the rough marshy jungle terrain. Torrential rains came every day making footing almost impossible at times, with soldiers slipping and falling everywhere. Under such extreme conditions there was still an enemy out there fighting at every occasion that seemed to offer him an advantage. Unfortunately this is war and we had casualties and being so deep in the jungle it’s impossible to get them out at that time. Our litter cases had to be carried along and under these extreme conditions this was not an easy matter. Not having enough litters, some were improvised by using two saplings, with a poncho stretched between them. With such adverse conditions it was extremely tiring on men to carry litters. They would have to trade off and rest awhile which often made it a job for ten men to carry one litter case. 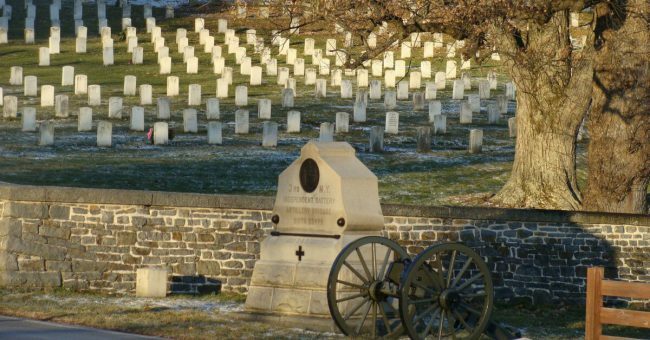 The dead were buried along the trail and when the battle situation permitted details were sent in to bring the bodies out. I often had to send trucks out for the purpose of hauling these bodies. Naturally the odor was unpleasant and the truck drivers hated this detail, even though all they had to do was drive the truck. 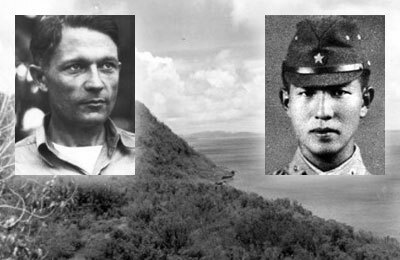 In spite of such difficult conditions the mission was a success with the destruction of the Japs from the ocean to the mountains while others fled back toward their base at Wewak. Along the Driniumor River was a totally different environment than these soldiers were accustomed to and this took almost all of their energy just to exist. Yet in spite of this hostile environment, enemy soldiers, dense jungle, torrential rains, terrible heat of the day, cold wet nights, diseases and jungle rot, our foot soldiers prevailed. 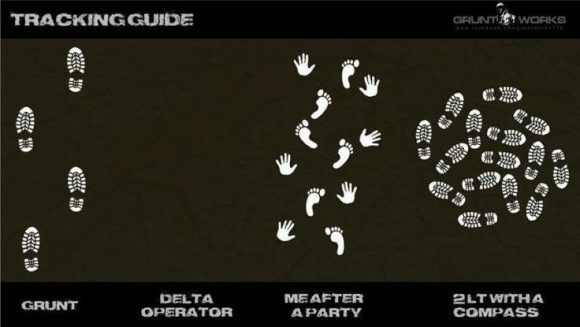 Being in transportation, I did not have to endure the trials of the foot soldier but the conditions made it a terrible experience for anyone who was there. 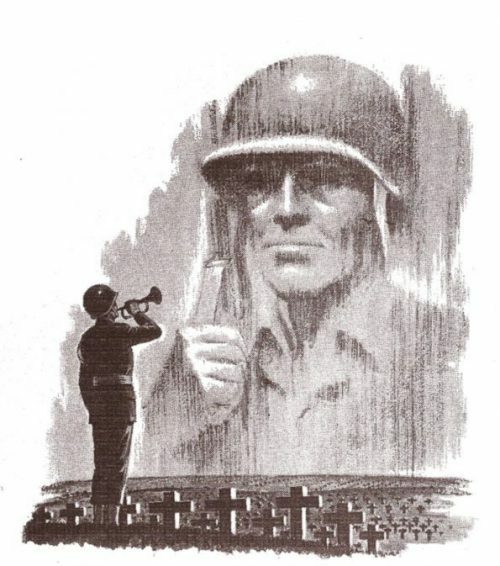 As we think about our conditions and the 440 (87 from the 124th) American Soldiers killed in action in this battle; the conditions for the Japanese soldiers were much worse. With little food, hardly any medicine, plus a shortage of arms and ammunition and no hope of any more supplies. 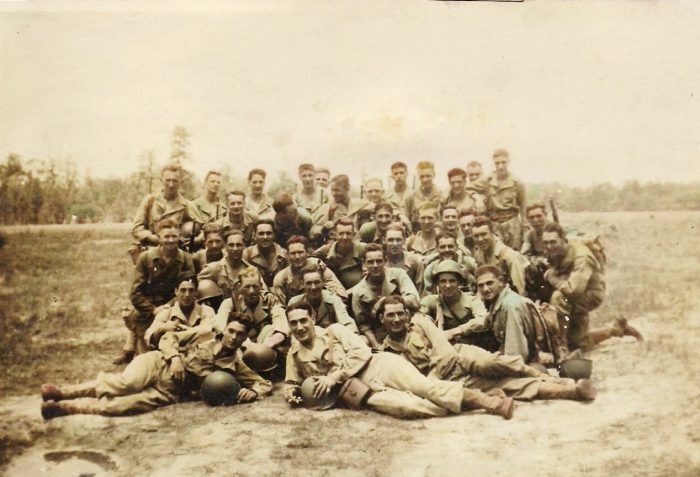 The 124th’s first contact with the Japs along the Driniumor River found these soldiers in good physical condition with many being much larger in stature than the typical Japanese man. As time passed the shortage of food and medicine began to take its toll and their physical condition deteriorated rapidly. 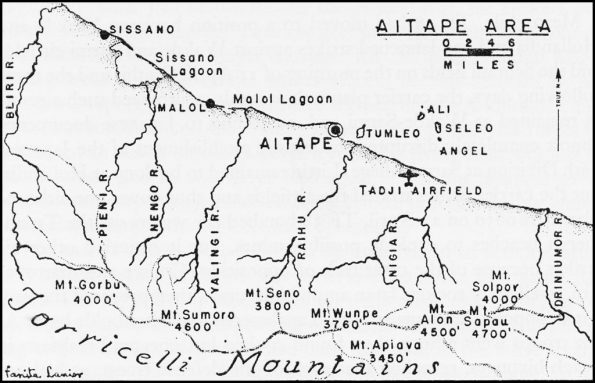 I have seen estimates that they suffered anywhere from 10,000 to 18,000 killed here at Aitape. Don’t know if this includes those who died from disease and starvation but I suspect that it doesn’t. I read in one publication that in all of New Guinea 148,000 Japanese soldiers perished in these jungles. It is my opinion that most of these died of starvation and disease. Many fell dead while attempting to move through the harsh jungle to some hopeless perception of a better condition for them in western New Guinea. In any event the end result of this battle along the Driniumor river here at Aitape was the destruction of the Japanese 18th Army as an effective fighting force. As we began to prepare for the invasion of Morotai the 43rd Division relieved the troops on the line. 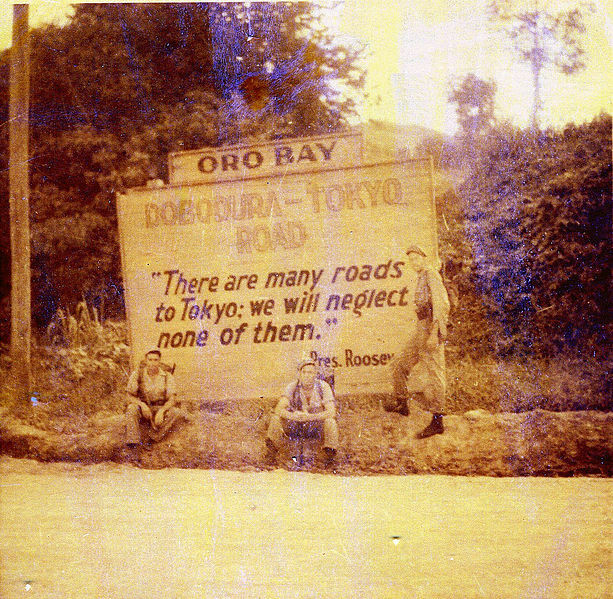 Then a few weeks later Australian troops took over and sporadic fighting continued, with casualties on both sides, until the Japanese surrender at the War’s end. 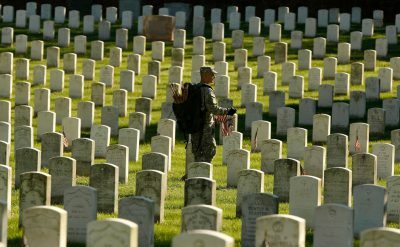 Allan E. Brown – Takoma Park, DC; US Army, Afghanistan, Sgt. 1st Class, 1st Special Troops Batt./1st Cavalry Div. 1o-11 July – on the night of 10th/11th July the trapped Japanese 18th Army attempted to break through US lines. In what became known as the Battle of Driniumor River they attacked in a solid mass of around 10,000 men in a suicidal frontal assault. This was an attempt to ensure that some men would successfully break through – which they did – but it was achieved at appalling cost. 11 July – Franklin Roosevelt announced his intention to run for an unprecedented fourth term in office as President of the United States. 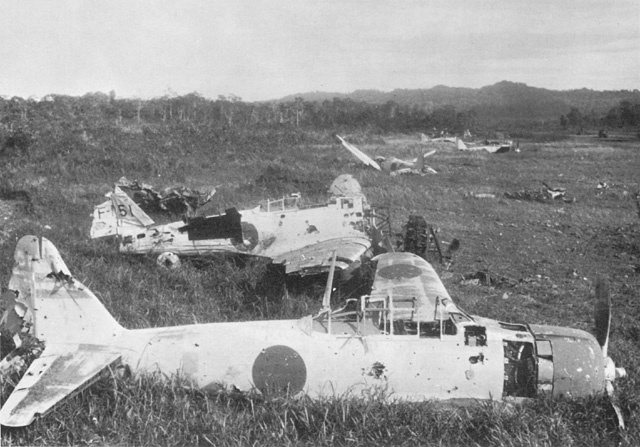 On New Guinea, the Babo airfield was hit along with supply dumps at Kokas. Manowari, Waren and Moemi were also bombed. Halmahera Island received destruction of various enemy installations. 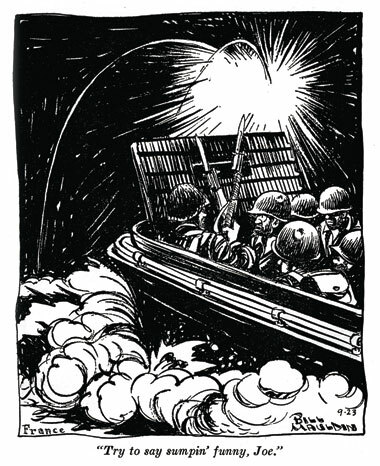 13-14 July – the land/sea war in and around New Guinea continued as warships bombarded Aitape to support the Australian and US troops advancing up the northern coastline. 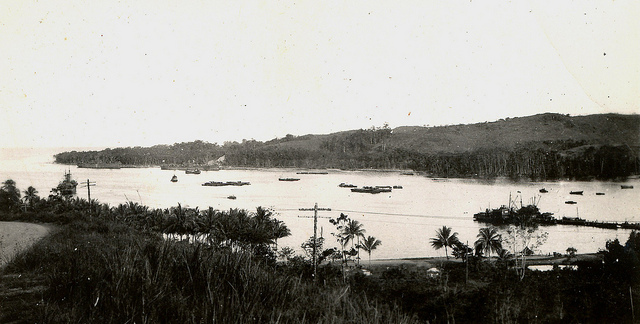 Heavy fighting and a Japanese attack, under Gen. Adachi, at the Wewak River had slowed their progress. The Allied troops launched a double enveloping counteroffensive that divided Adachi’s men into two groups, which soon rendered them useless. 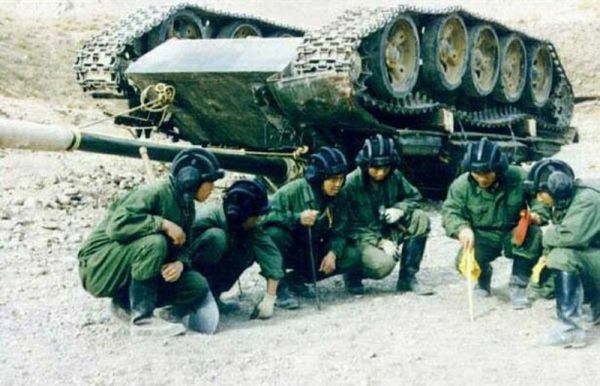 Nevertheless, combat would continue for 4 more weeks. In the CBI arena, the 10th Air Force was bombing and strafing the Myitkyina area to support their ground troops, while bridges were bombed at five other areas. The 14th Air Force in China caused massive damaged at the Pailochi and 2 other air fields along with compounds, river shipping, troop concentrations and railroad yards. From the researchers who not only know and understand the fighting in the southwest Pacific area, but the men involved! 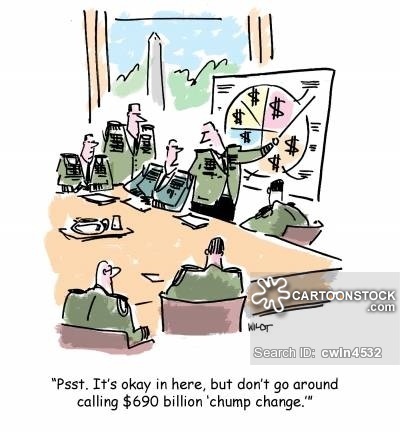 From Ken’s Men to the Air Apaches, units of Fifth Air Force had thought of a wide variety of nicknames for themselves. This week, we thought we’d cover the origins of the sobriquets for the 312th, 22nd, 43rd, 38th and 345th Bomb Groups. The Roarin’ 20’s: The 312th Bomb Group gave themselves this nickname in late March or early April 1944. For the most part, their insignia of a lion jumping through the zero in 20’s wasn’t added as nose art. The men usually used their group logo for signage and patches. Smitty always made mention of how hard the soldiers before him had to struggle. He noticed that no matter how hard people or nature tried to disguise their surroundings, the scars of war were everywhere. 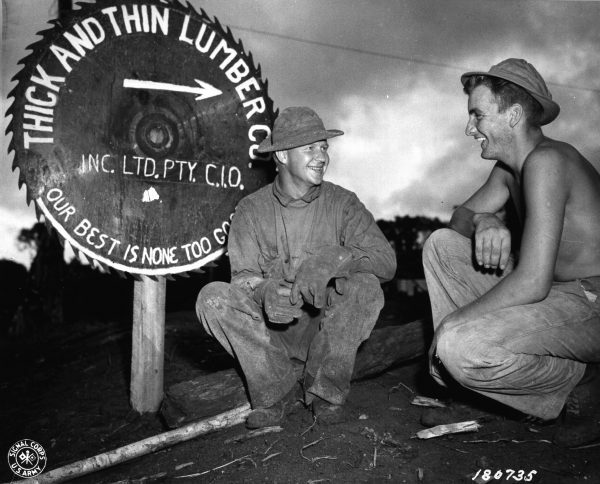 In New Guinea, my father had a clear view of the battle remnants of General Robert Eichelberger’s Australian and American troops from when they fought on a similar terrain and in battles as fiercely intense as Guadalcanal – on each island the territories had to be taken inch by inch. “… The Japanese is still being underrated. There is no question of our being able to defeat him, but the time, effort, blood and money required to do the job may run to proportions beyond all conception, particularly if the devil is allowed to develop the resources he is now holding. 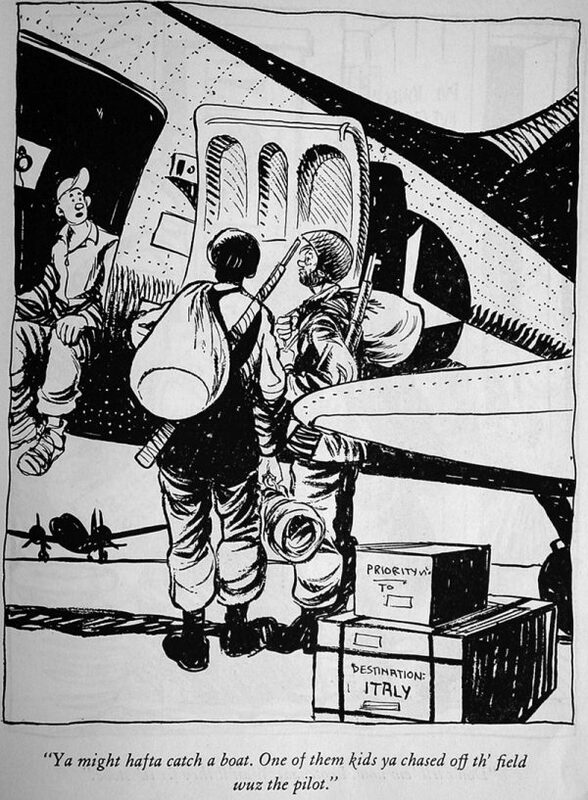 According to Gen. Kenney’s reports, the last 2 weeks of June saw the last of the enemy air force, at least as far as New Guinea was concerned, and ports for re-supplying their troops were being repeatedly hit. Babo, Manokwari and Sorong saw 10,000 tons of shipping go to the the bottom in these series of attacks. 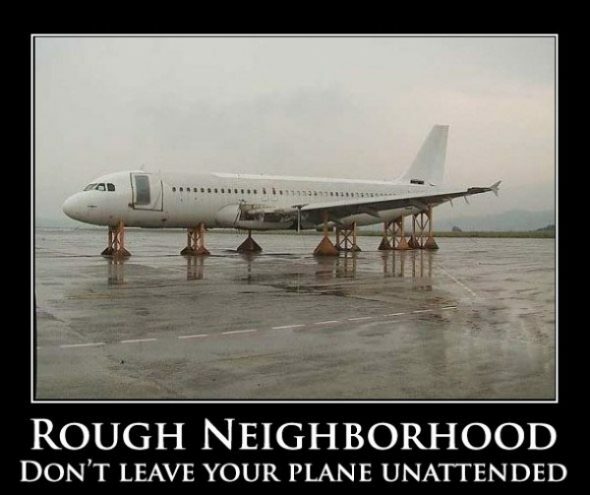 By the end of the month, airdromes were mere burned out shells of buildings and cratered runways. Here is where the specialized training for the 11th A/B began and the War Dept. also saw the need for improved weapons for this “new type of war.” Under the direction of Colonel William Borden this effort resulted in: 105-mm and 155-mm mortars, flamethrowers, ground rockets, colored smoke grenades and the skidpans for towing heavy artillery in muddy terrains. 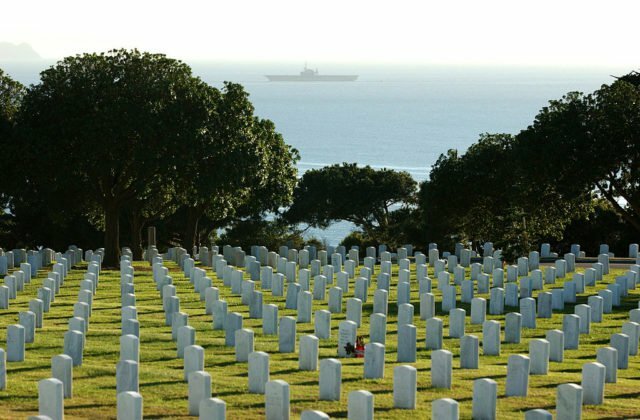 But – still at this point – only about 15% of the Allied resources were going to the Pacific. Charles Mitchell – Richmond, CA & Ontario, CAN; US Army Air Corps, WWII, PTO, 11th Airborne Div., Pvt. 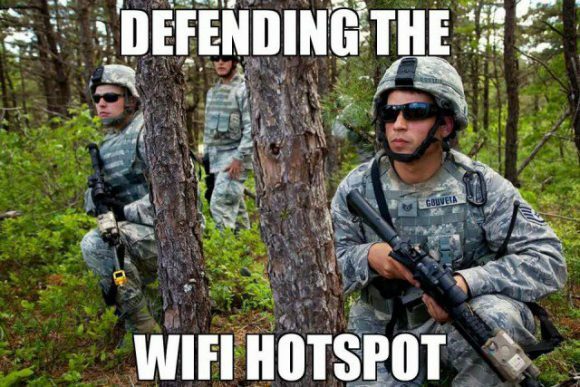 /US Air Force (Ret. 30 yrs), Chaplin, Col.
No matter what the reason or nickname, this undermanned and under-equipped division trudged on. You may notice in Smitty’s letters that he will not mention his rigorous training or even combat in his later ones. I am unaware as to whether it was concern for his mother’s feelings or censorship restrictions. As a child I asked if I would ever catch him in one of the old news reels and he said that he surely doubted it. 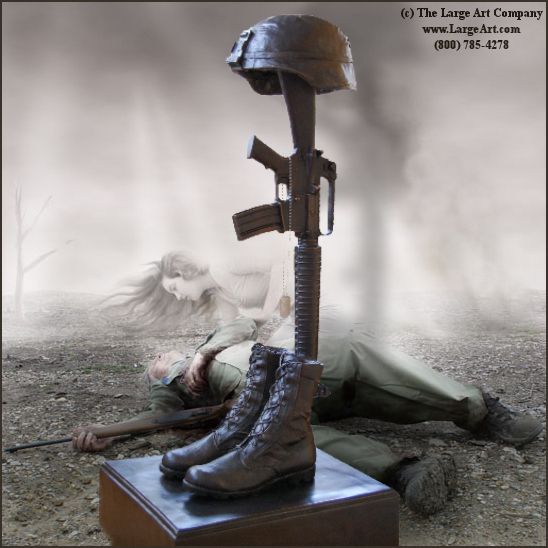 He made a point to avoid any photographers in the event his mother caught sight of the pictures of him in combat. No matter how hard things had become, he found something else to talk about, but he did have a tongue-in-cheek humor that could both amuse someone even while he was complaining. At this point in time, the jungle war training had live firing and everything was becoming a bit clearer, a bit more realistic. 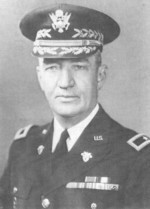 Major Burgess left the units temporarily to set up a jump school. This would give the glidermen and Burgess himself an opportunity to qualify as paratroopers. The parachutists began their glider training at Soputa airstrip that was no longer in regular use. 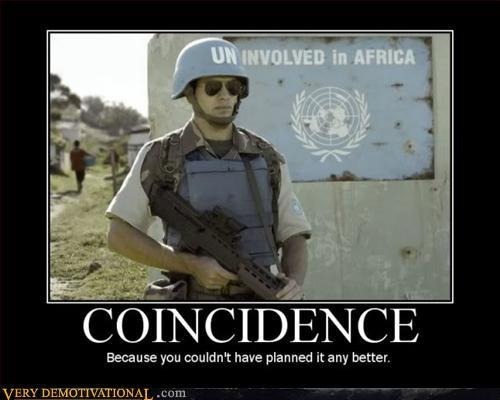 Okay – so now we go to Plan-B…..
Richard Gamlen – San Francisco, CA; US Army, WWII, ETO, MSgt. For a period of five months the 11th Airborne Division would receive jungle warfare and intensified combat unit ground training in the primitive land of jungles and mountains and thatched huts and the native population fondly called, Fuzzy Wuzzies. 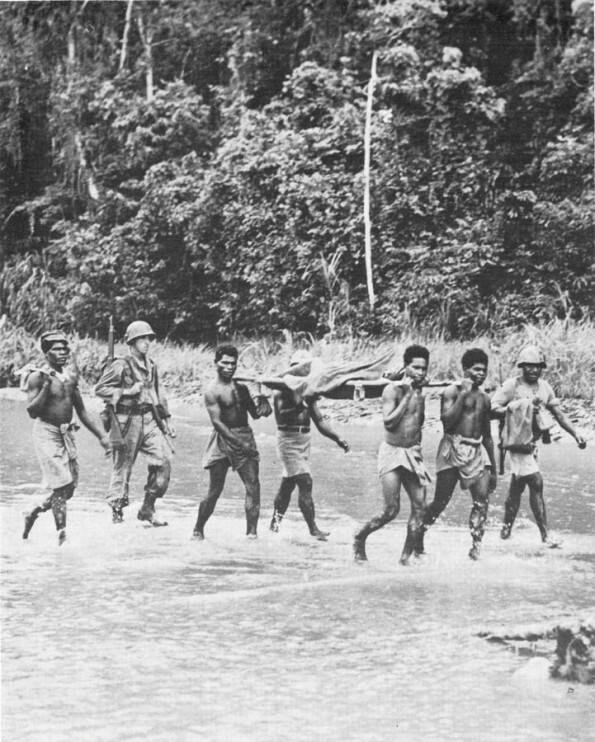 The Papua brigades and Allied forces, that fought in what constituted the Cartwheel Operations before the troopers arrived, made this landing possible. 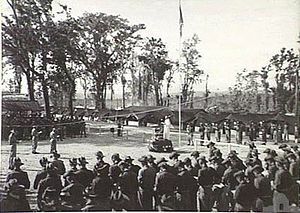 The Dobodura area that the 11th A/B would make their home was inherited from the 5th Air Force. 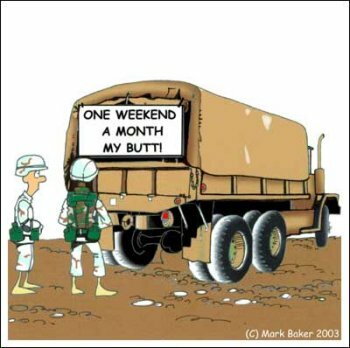 The first order of business was for the 408th Quartermaster trucks to deliver the pyramidal tents. Well, here we are on the island of New Guinea. 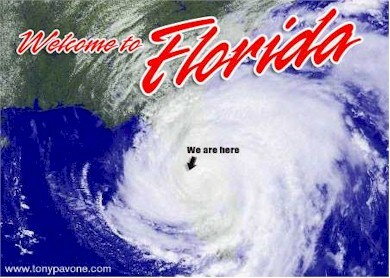 From what we can see if it so far, I know we’ll never go hungry as the coconut trees are as thick as a swarm of bees. We started for our area in trucks after all the rumors said we’d walk and we “Oh!” and Ah’d” all throughout the trip. Not wanting to show the natives here how smart we are, the driver proceeded on his own when lo and behold — where were we? I don’t know, no one knows, so right away we all knew that wherever we were — that wasn’t where we were supposed to be. Now, of course, we weren’t to blame, as after all, this is a strange and new place to us and they didn’t give us a Socony road map or a compass reading, so no matter — drive on — come what may. Of course, some large and strange appearing trees which grew in the road had different ideas and no matter how hard we hit them, they consistently set us back. How they ever managed to find a road to grow in is beyond me, but then they were here before us. Naturally, after the way they treated our truck, we gave them a wide berth, eventually leaving the road al together. When after what seemed like hours, we finally found our area, much to the delight of the lower hind part of our anatomy. Then, our shoulders and backs had to haul our bags around until we found our tents. This was done very systematically: someone had the idea of first asking the captain just where we belonged and he proceeded to take us there. We could see at once that this place was no place for us and got right down to thinking up goldbricking alibis. Work here is the main word we soon found out, and might I add we are all still trying to duck, but it seems that as soon as one finds a spot in the woods, oops I mean jungle, the tree-chopper-downers come along and there you are not only up to your neck in work, but also find out that now your haven is so exposed as to make it useless again as a hideout. You might wonder what all this labor is about and also expect to find out in this chapter or letter, but no, it shall never be. I’m saving that for the next installment, which I’m sure you will be breathlessly awaiting. Regards to all. Just as Smitty expected, their destination was quickly coming up over the horizon. The fleeting glimpse of solid land, Milne Bay, New Guinea was only a short stopover for water (such a disappointment) and they continued their cruise north. The 11th Airborne Division came upon the humming waterfront of ships manipulating to unload troops, supplies and equipment in Oro Bay. They witnessed a paradoxal view of organized chaos. Down the rope ladders they went to the beach taxis, DUKWs (2 ton amphibious vehicles commonly called “ducks”) and onward to the awaiting shoreline. At latitude 8*52’60S and longitude 148*30’0E, this would become the first step for many a G.I. on foreign soil. 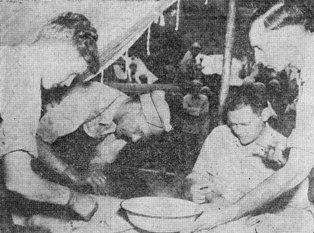 Once they actually hit the beach, the heat seemed to slam into the troopers and their uniforms became soaked within minutes, but they proceeded on to the Buna-Dobodura area to make their new base camp. 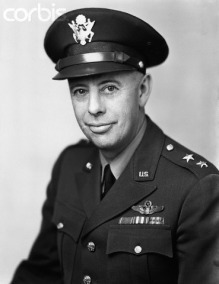 Although General Swing, commander of the 11th A/B, had contracted malaria and was hospitalized when his men shipped out of the U.S., he boarded a plane for Brisbane, Australia to attend a meeting with Gen. MacArthur. Swing was briefed on the immediate plans for his command and was reminded that the 11th A/B was considered a “secret weapon.” Swing managed to be in Dobodura in time to meet his men as they disembarked. Dear Mom, Well, land is in sight so I’ll just hold off this letter awhile until I can find out for sure if this is what we have all been waiting for or just another island…. Yep and yes siree this is finally it and from what I have seen up to now it is going to prove not only an interesting place, but picturesque as well. Don’t know yet if we can say where we are, so I won’t attempt it. Everyone is standing along the railings with glasses while those less fortunate are straining their eyes trying to get a glimpse of our new and strange surroundings. It is all very exciting and thrilling and must say one gets sort of feeling down deep that is hard to explain. It might be that the sight of this long awaited place has sub-consciously awaked us to the fact that we are one heck of a long way from home. Now that we are here in a port with a chance of possibly getting this letter mailed, I’ll close this letter and mail it as I know how anxious you must be about me and would like to hear from me as soon as possible. I promise you though that I will continue to write my letters like this and would like you to save them all so that when I get back I will have something to read back on and maybe remember. I did finally get around to part of this was censored so don’t worry any on that account. I know how you worry about things like that so thought it best that you know. the next two lines were also censored That is just about all there is for now, so with regards to all and hoping this letter is the answer to your nightly prayers, I’ll close with all my love and millions of hugs and kisses. Sam Macri – New Rochelle, NY; US Army Air Corps, WWII, PTO, 457 Artillery/11th Airborne Div. 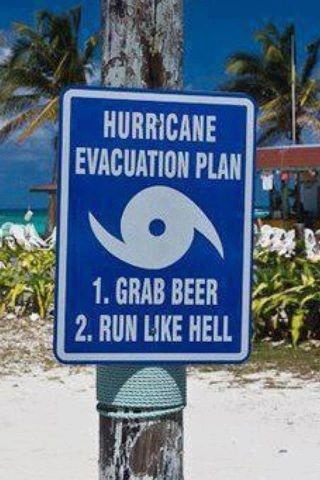 We are expecting quite a storm here on Thursday, Oct. 6th, [Hurricane Matthew], I suspect we will NOT have electricity for long. So, please be patient with me as I try to keep up with my Reader page, visitors, and replies to the comments – I WILL be back sooner or later! Thanks to you ALL ! !